Clearly written, comprehensive, and rigorously researched, Chris Duvall's Cannabis (London: Reaktion Books, 2015) is a superb, easily digestable crash course on the history of the remarkably diverse human-Cannabis relationship. As one of the few true scholarly histories of the cannabis plant produced in the last decade, Cannabis clarifies or refutes many of the widely accepted claims about the plant’s origins, dispersal, and history found in a wealth of semi-scholarly works. But the book is much more than a corrective of existing cannabis literature. Perhaps Duvall’s most important contribution to current conversations about the plant, scholarly or otherwise, is his observation that people’s diverse experiences with the plant, as well as the profound symbolism they attach to it, have shaped, complicated, and confused our understanding of it. This is something that everyone writing or speaking about cannabis should be aware of, yet Duvall, a geographer at the University of New Mexico, is the first cannabis writer to dedicate two entire book chapters to it. Additionally, the book’s framing of the history of cannabis as a plant instead of a drug (perhaps unsurprising, given its inclusion in Reaktion’s Botanical series) helps to push cannabis scholarship in a more honest and valuable direction. 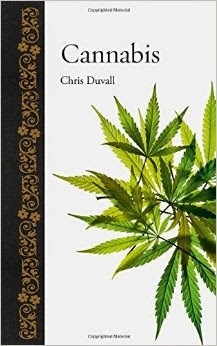 In fewer than 200 pages, Duvall marshals an assortment of sources in several languages to sweep the reader around the world not once but twice; he covers the global use and spread of both primary species of cannabis, sativa (hemp) and indica (drug). One of Duvall’s major contributions here is emphasizing the under-acknowledged African contribution to both the dispersal and naming of the plant, especially in the New World. 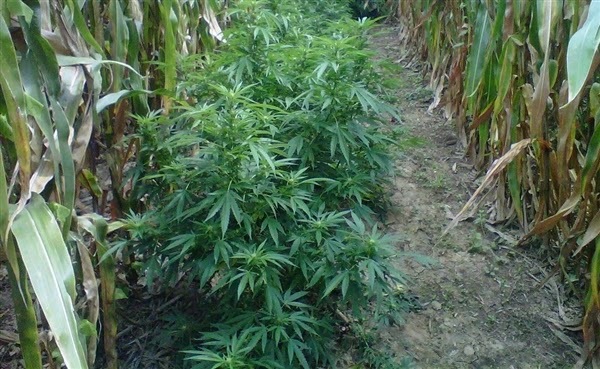 Noting that “etymologists have barely considered possible African etymologies” for the plant, he explains the term “marijuana”—the most popular official word for the plant today—as being a Spanish mispronunciation of mariamba, a “plural of riamba, meaning ‘cannabis’ in several Central African Languages” (p. 15). Cannabis is not only the history of a human-plant relationship, but also of how the multiple experiences within that relationship have confounded attempts to understand it. For example, Duvall notes that “what people mean by any Cannabis term is conditioned by their experience with the plant” (p. 25). “Marijuana aficionados,” he notes, routinely use sativa and indica to differentiate between drug plants that produce a stimulating or relaxing high, even though botanically speaking all drug cannabis is indica. 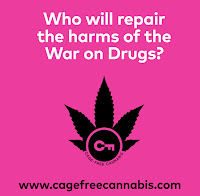 Duvall also emphasizes drug cannabis’s historical association with “labour underclasses,” (p. 155) people whose experiences are often absent from the historical record and thus only scarcely inform current understandings of the human-cannabis relationship. 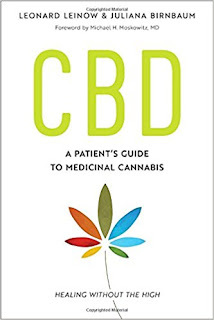 Importantly, though, Duvall also stresses the role of the plant itself in producing such distorted and incomplete understandings of the plant: “[t]he unusual character of Cannabis—a cosmopolitan genus with two cryptic species and two symbolically charged uses—has strongly shaped how people have generated information about it” (p. 179). Overall, Duvall’s largely botanical treatment of cannabis offers a more complete view of the plant than other histories, scholarly or not, which mostly treat it as a drug. Duvall’s Cannabis joins Jim Rendon’s Super Charged (2012) and Michael Pollan’s The Botany of Desire (2001) as plant-centric cannabis books written for a broader audience. Yet Duvall’s Cannabis is more comprehensive in its history and more robust in its documentation, and so helps immensely in the important task of re-framing the scholarly discussion about cannabis from drug to plant. For all its contributions to that scholarly discussion, Cannabis is also brief and highly readable—a remarkable achievement, given the inherent complexity of the plant and the cultures surrounding it. Readers will find that Duvall’s book moves at a brisk and steady pace, riddled with vibrant illustrations and peppered with historical anecdotes integrated so seamlessly that they bely what was surely an excruciating research process. On account of its accessibility, focus on cannabis as a plant, and upfront grappling with the confusion and myths surrounding the complex human-cannabis relationship, Duvall’s Cannabis is perhaps the most important scholarly work on the plant to date. See Peter Hecht, Weed Land: Inside America’s Marijuana Epicenter and How Pot went Legit (Berkeley: University of California Press, 2014); Isaac Campos, Home Grown: Marijuana and the Origins of Mexico’s War on Drugs (Chapel Hill: University of North Carolina Press, 2012); Martin A. Lee, Smoke Signals: A Social History of Marijuana—Medical, Recreational, Scientific (New York: Scribner, 2012); Martin Booth, Cannabis: A History (New York: Picador, 2003); Larry Sloman, Reefer Madness: A History of Marijuana (New York: St. Martin’s Griffin, 1979). Try obtaining and reading Clarke, R. and M. Merlin. 2013. Cannabis: Evolution and Ethnobotany, University of California Press. This blog is very informative and useful, cannabis is using for make many products such as skincare, CBD juice, CBD vape products Etc.,. thanks for sharing a hi-quality content in your post. Ordinarily, as explained above, you are not supposed to be able to buy any of those pills that could be dangerous or unsafe for your body system. If there's a need for you to use any of such, it has to be medically established to be in your best interest,content then followed by a doctor's prescription and its administration would need to be closely monitored.